Giving the structure the appearance of the capital letter A. 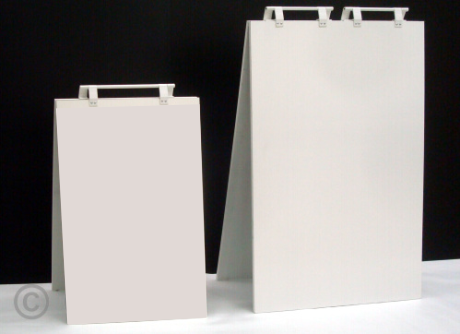 Sandwich boards Calgary were traditionally used to advertise lunch specials at popular eateries but they are now often used to advertise almost any type of product, service or event. While they can be made from a variety of material (wood, plastic, metal), we most often use a marine (weather-proof) plywood as these are very low maintenance, last a long time in all types of weather, and are heavy enough that they do not require additional weighting or anchoring for windy conditions.